Anyone who practices self hypnosis will readily be able to acknowledge the many benefits this simple, natural form of therapy provides. Not only does self hypnosis quieten the mind and relax the body, but it also enables the individual to open their mind to focused awareness and empowering visualisation. Self hypnosis is can be used as a simple means of achieving deep relaxation, or as a focused tool that facilitates access to concerns and issues. It can be adapted to suit changing personal needs and can be accessed at a convenient time for the individual. Guided audio self hypnosis makes the whole deep relaxation process even easier by providing all the direct language commands you need to enable you to relax into a comfortable trance-like state. Entering a deeply relaxed state of hypnosis requires a comfortable posture, the slowing down of breath and the internal dialogue in your mind, and the awareness of your body as it shifts into deep relaxation. Once you are in a state of relaxed, focused awareness your mind becomes open to suggestion. It is able to release all lingering thoughts and concerns as it absorbs commands and positive affirmations. Self hypnosis provides a powerful tool, which can be used to great effect in personal development and wellbeing. It allows the individual to explore their mind in a safe, comfortable setting that is convenient for them. 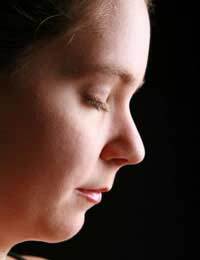 Using simple deep relaxation techniques enables the individual to relax their body, which in itself is an excellent form of stress management. Awareness of the self is important for our wellbeing, and provides us with a greater understanding of our personal needs and requirements. Meditation, guided visualisation and self hypnosis can all provide direct means to accessing and harnessing the power of the mind. Our minds continually focus outwards, and it is not until we can take the time to slow our thoughts down that we are able to focus on our inner self. By deeply relaxing our body we are able to quieten our mind so that a new level of self awareness is reached. Regular focused awareness accelerates personal growth and self-development. It is an empowering experience that offers many different levels of exploration. It can also identify hidden information or increase general awareness of oneself. Practiced on a daily basis this heightened state of awareness becomes a valuable mind tool that is simple, and easy enough to tap into when required. Self hypnosis and guided focus can help improve many conditions and issues. It can aid image-centred concerns like self-esteem, confidence, limiting beliefs, body image, self-respect etc. By directing guided focus and awareness towards these issues an individual is able to develop a positive attitude as they work towards enjoying full empowerment. A greater level of positive thinking, inner harmony, love and compassion can be attained through continued personal development. By improving concentration, with self hypnosis, we are more able to acknowledge how important mental tranquility is to our wellbeing. Combining this with active relaxation periods provides a balance to understanding ourselves much better.